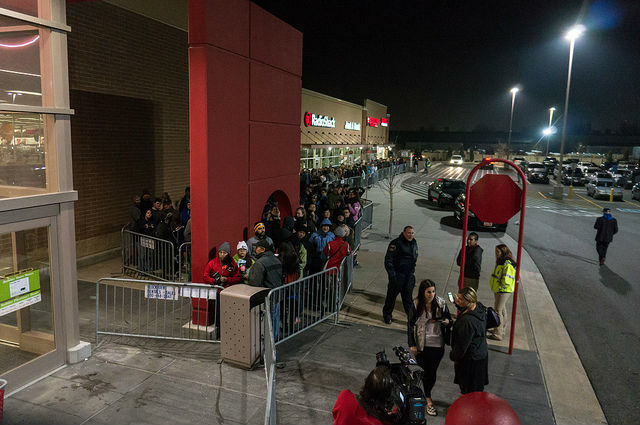 Welcome to the PrepaidPhoneNews Black Friday deal tracker. Black Friday, the day after Thanksgiving, is Nov 24 this year. Black Friday is the traditional start of the holiday shopping season. Although more and more retailers now offer "early Black Friday" deals well before Thanksgiving, the best deals are still the deeply discounted "doorbusters" on Thanksgiving and Black Friday. The Prepaid Phone News Tracker tries to list all known in-store Black Friday and Thanksgiving prepaid and unlocked phone deals in one place. 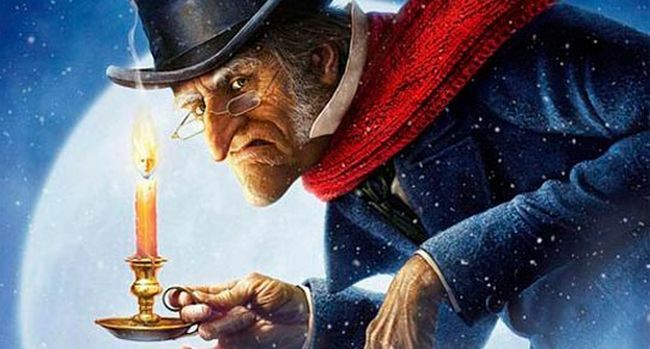 Most store's Black Friday ads have been leaked, there could still be a few more. Bookmark this page and check back often as the Tracker will be updated as new deals appear. The deals are listed below in order of the sale's starting day and time. Click the store name to go directly to that retailer's home page or Black Friday sale page (if available). Items with links are also expected to be available online. For a complete list of online deals, including online-only ones, see our 2017 Online Black Friday Prepaid and Unlocked Phone Deal Tracker. If you just can't wait for Black Friday or need a phone right now see the latest Prepaid Phones on Sale post. Cricket Sale starts 11/20, ends 11/26. Microsoft Store online sale starts 12.01 AM ET Thanksgiving, brick and mortar hours TBA. Freds Pharmacy Sales runs from Thanksgiving 11/23 to Saturday 11/25 only hours vary, contact store. Best Buy sale hours: 5 PM - 1 AM Thanksgiving, 8AM - 10 PM Black Friday, 9AM - 10 PM Saturday. Online sale all day Thanksgiving will include additional online-only doorbusters. Thanks, Dennis for compiling this information. Very helpful! Thank you Dennis, this will save me time this holiday season! Great idea! Thank you Dennis. The total wireless iPhone SE will work on already activated at&t based TracFone sims? (I'm almost 100% positive it will work on it VZW based TracFone brands). This is always a great service. Dennis, I hope you update your Cyberman on "Cyber Monday" to one of these cool Mondasian Cybermen! This will be a fun few weeks, then comes cyber Monday. Does anyone know when Target usually offers discounted Cricket refill cards? Target usually puts air time for carriers on sale around the last week of the month or the start of a new month. All depends on how the dates fall at the end of the month. Target sales start on Sunday and end on Saturday. Just look at their weekly ad as the sales are usually posted. Thanks, but I meant the Thanksgiving sales. I'm hoping for 10% off, so I can combine with the 5% off Red card to equal 15%. Only reasonably "hot" deal I see is the iPhone SE @ $99. Talk about a bunch of "meh". I certainly hope Walmart and Best Buy have some better deals or I'm staying home this year. "Unlocked Honor 6X 32 GB LTE Android phone $149.99 (reg $149.99)"
I know it’s pointless to complain but it was better when stores were closed on thanksgiving, giving employees one day to spend with family. Then shop till you drop on Black Friday. Better yet, stores should be closed for the entire weekend so that their employees can truly enjoy the holiday. Then, stores with the good sense to stay open can monopolize all the sales. Still, being closed on Thanksgiving would probably be highly offensive to the Native Americans, who don't celebrate the colonization of their homeland, just as being open during the day offends night owls. Honestly, all reputable merchants should really just stay open 24/7/365 to avoid problems like that. Not a problem for me. I do all my Christmas shopping at 7-11. Looking for deals on iphone 6s for att prepaid. Any idea on the unlocking prospects for the Target / Total Wireless iPhone SE? A Google search led me to SlickDeals, where they seemed to think it required 12 months service? Does that sound right? It has great unlocking prospects. You use it on Total Wireless for 12 months, then they tell you it can't be unlocked. After that, you're free to continue using it on Total Wireless. used phone, 90 day warranty. same price on Swappa in Mint condition. That iphone 6s unlocked $299 from target appears to be for a used 16GB unit, correct? Borrow $32-35 from Mom and buy a NEW 6S on eBay instead (no sales tax). "That iphone 6s unlocked $299 from target appears to be for a used 16GB unit, correct?" At least you can take a bad phone back to TARGET. Not so with an eBay seller with countless instances of selling a used item as new and stonewalling those ripped-off victims who try to get the matter settled. If you borrow $32-35 from your mom and blow it on eBay scam artists, she might send you to your basement without supper. You guy(s) are just spreading FUD. I guess you believe all online reviews. It’s easy to tell whether an iPhone is new, never activated. If it’s not, eBay makes the seller pay for return shipping and you get a full refund as soon as tracking confirms it’s returned. Seller loses 2x shipping. That’s not a sustainable business model, and eBay punishes sellers with bad records. You guys deserve a used phone. Find the one for $279 and take Mom out to dinner. Then maybe she will loan you the money next time. You hesitated and lost the $299 bargain. BuySPRY raised their price back to $349.99 for the New iPhone 6S. Here is the $270 deal on a iPhone 6S unlocked refurb with 90-day warranty. Take Mom out to a nicer restaurant. That Buy Spry guy on eBay doesn't look the best. A NEW iPhone you say? The first of the quite numerous and quite recent negative feedback hits nails them for selling a used product and claiming it was new. This one also: "Deceptive or misleading advertising. Selling used as new. Beware." Or this one: "This iPhone sometimes,the screen doesn't work"
Shudder. You have to go out of your way to be such a bad eBay seller. BuySPRY is a 'Top Rated Plus' seller, the best type. Only 15 negative feedbacks out of 1,983 sales last 30 days (7.6/1000), and many of the complaints were either resolved or the buyer liked the item well enough to keep it. Many of the recent complaints are not specific, so you can't understand any problem. "This iPhone sometimes,the screen doesn't work" item was NOT advertised as new. The iPhone 6S for $299 is advertised as New and Sealed, so your risk is minimal. Much less than the risk of buying a Used iPhone with a 30-90 day warranty. There is always some risk, even with new electronics. I bought 1 new Mac and one refurb Mac direct from Apple that were defective. The first came with dead power supply. Apple never fixed or replaced the refurb because it would not overheat and reboot in the 5 trips to the Apple Store. Friends and family who buy PCs have had the same kind of problems. But Used electronics are much more likely to have problems. If you can't accept minimal risk, buy New from Apple, a carrier or an authorized dealer and pay a lot more. As an eBay seller, I've been able to get rid of unwarranted negative feedback. They weren't able to get the feedback recinded for selling used phones as new. No honest dealer does this sort of thing. "The iPhone 6S for $299 is advertised as New and Sealed, so your risk is minimal"
Except it is BuySpry, which sells used phones as new, month after month after month. Why take a chance at an "acceptable" level of such intentional fraud? If you don't like such risk,buy from a dealer that never sells used as new. There's no excuse for it even once, let alone several times each month. As an honest dealer who never sells used as new,I think it's crazy that such scammers get a special award. This is typical of the MANY used items BuySpry sells as new every single month. Not only was it used, it was broken. Some might think that being caught selling used/broken as "new" one out of a hundred times a month is OK, but there is no excuse for any such level of deception. And the rate of this is surely much higher, as those with a working and clean but very used item sold as "new" won't complain much. It's easier to fine better eBay sellers. You have to really go out of your way to be as bad as having a rating much below 100 percent. CocoaSprinkles has a third as much negative feedback in proportion, and a distinctive lack of being caught in such activities as selling a used and broken item as if it were brand new. They have a 99.6% feedback rating. Which is really 100% except for rounding. "CocoaSprinkles" doesn't sell new iPhone 6S. They charge more for refurbs than other good sellers, $90 more than DailySteal above. They give you a generic charger, which could be unsafe. 30 day vs. 90 day warranty. But you recommend them because of a tiny improvement in feedback rating. Interesting risk/reward analysis. A tiny improvement ?! Cocoa has a negative feedback rating that is one-third that of the Spry scammers. And the proportion of these having to do with misrepresenting products is even much lower. Looking for unlocked Moto E4 non Amazon ad model. Are you lost? Swappa is loaded with them. Verizon unlocked for $75 and up. didn't walmart have them for 39.99 for Verizon and you just have to unlock them. Swappa now has one Moto E4 for $60, unlocked. Possible typo under Meijer: "Buy one Total Wireless iPhone 6 iPhone 6"
Some people don't go shopping because they're spending time with family. But I suppose being bitter and angry is a great reason, too. "But I suppose being bitter and angry is a great reason, too." 'Tis the season for being bitter and angry, after all. With ebay sellers it is the defect rates that count not the feedbacks. Ebay lowered their seller ratings from 5% defect rates down to 2% so many top rated sellers instantly dropped to below standard sellers ratings. That pushes the ebay sellers to raise their prices due to ebay commissions increasing when below standard sellers sell items. Also below standard sellers have their funds that are received through paypal withheld with pending status until those items sold are tracked as being delivered to the buyers and receive no negative feedback. So when buying prepaid phones on ebay take into account that ebay is forcing sellers to shutdown and sell through other websites or cut corners to compensate for less profit due to higher ebay commissions and withheld payments. Everything should be closed on Thanksgiving. I'd love to see these armchair quarterback CEO's go work on a retail salesfloor on Thanksgiving. Oh, wait...they never worked on a salesfloor to begin with. I hope their maids and butlers burn their turkeys. Oh, I'm sure they wouldn't risk being sent back. Costco being such a big store has just one phone deal?!!??. How bad is that? How much is the Meijer tw iPhone? Do total wireless iPhones work on other TracFone brands at&t based Sim card? Some people have been able to use TracFone or Straight Talk AT&T SIMs in Total Wireless iPhones. I wouldn't count on that always working, especially on TracFone which traditionally has higher phone prices that Total. I believe that most, if not all, of Total's Android and feature phones don't have the bands and technologies to work on any network except Verizon. Dennis, does the "AT&T Prepaid ZTE Maven 3 LTE Android phone $7.99" at Best Buy require airtime purchase? Can someone easily unlock the Verizon Prepaid Motorola Moto E4 Plus? "Unlock" as in use it on Verizon postpaid -- yes, that's easy, as soon as the phone is activated with the first month of service paid, you can pop in a VZW postpaid SIM. "Unlock" as in use it on AT&T, T-Mobile, or Sprint towers, or with another Verizon MVNO? No, that requires you to pay the full amount listed on the box (the "ransom" payment), in order to have the device unlocked for another carrier's towers or another VZW MVNO. What does "the full amount listed on the box" mean? Verizon has unpleasant, stiff and excessive unlocking fees. Ignorant people pay a lot. eBay $2.09 for smart people. E4 Plus has most U.S. bands and can be easily unlocked to work on AT&T and T-Mobile or any of the MVNOs that use their networks. Will not work on Sprint, period. To use on Verizon postpaid, has to have a minimum of *6 months* paid usage to be converted to postpaid. Get your facts straight and quit spreading misinformation. Just but the officially unlocked e4+. I used my moto e4 plus with 1 month activated on $50 plan & got it unlocked free from Verizon before my due date. Dennis, please put the list in alphabetical order based on store name. Hi Dennis. Newegg link for Moto G5 Plus goes to Moto G5s Plus listing. Thanks, I've fixed the link to point to the correct item. Why on Earth is Walmart only offering CDMA phones for Straight Talk on Black Friday?? No GSM!!! Anyone Know?? I need AT&T. Talking to the electronics guy at Walmart, he told me Verizon based TracFone brands see less returns than GSM,c that could be why. Walmart never actually has an "electronics guy," so I'm not sure who you talked to. I always find a knowledgeable electronics guy when I go to Walmart. What do you want me to call him, he's helped me with TracFone before and seems pretty knowledgeable about them, most associates don't even seem to know TracFone doesn't run its own infrastructure let alone that they use all 4 carriers. What's the point of a smartphone if you're not running apps? That's it exactly. Windows phones run hardly any apps at all. So they have pretty much dumbphones. The most prominently displayed store in the background is Radio Shack. Is everyone lined up to go to a Circuit City to get great deals on CD players and CB radios? It looks like New York harbor to me. I think it's a photo of people lined up to get on the Titanic. "It looks like New York harbor to me. I think it's a photo of people lined up to get on the Titanic." Regardless, I am showing up for Black Friday Eve wearing elbow spikes and a ski mask, and carrying a few empty gunnysacks. I don't mind. For once this is an eBay seller with the great feedback rating. Unlike others that some have recently presented as great that routinely sell broken used items as new and then blow off the users when they complain. Dennis recommends phones every week from that “other” eBay dealer. It seems he doesn’t buy your flamer comments any more than the rest of us. I've fixed the link. The phone is in stock now, although not at the Black Friday price, of course. Dennis - any idea of when Cricket will release its Black Friday deals? The HTC One A9 is a $500 phone from 2015, the J7 is a $200 phone from 2017. A9 Pros: metal body, higher resolution screen, fingerprint reader, NFC, more RAM and internal storage, better cameras. j7 Pros: larger screen, slightly faster processor, larger and removable battery. If it were my money, I'd choose the A9, mainly for the cameras. A9 gives you the design and aluminum build of an iPhone 6S with the software you prefer. Best of both. I haven't used one either, but been thinking about it. Pay attention to complaints about the battery running down quickly. You have a (non-removable) 2150mAh battery trying to drive a full HD (1920x1080) screen. Everyday business use might be fine, but games or constant screen-on time might require a midday recharge. HTC One A9 is one of the best Boost Mobile phones you can get. Nougat, fingerprint reader, metal unibody, high res screen. But the 2150 battery, killed it for me. With most limited use, daily charging/spare reserve is still needed. "Unibody" is a drawback, really, as it kills the ability to remove the featherweight battery and replace it. I recently got an LG V20 and was greatly impressed with the easy popoff back after using several phones with the backs needlessly sealed on. The ship has sailed on replaceable batteries, I know, but the captain of this ship is an arrogant designer with no concept of user experience. Dennis, might want to add to the Fry's Moto G5 Plus listing thst they also will have the 64GB for $199. I don't live anywhere near a Fry's but will be using them (if they sell out to fsst online) for price protection refund from my credit card unless I find an even lower priced retailer. No, the Phab 2 is not compatible with Verizon. It works with GSM based operators like AT&T or T-Mobile. "2G dual SIM" will that work overseas? thought this had an add for a moto g5s plus that would be going on sale 11/27 for 25% off. can't find it. was there one or did I hallucinate? Perhaps the Moto G5 Plus currently on sale at Costco for $170 down from msrp $220. Not quite 25% though. Is there a way to unlock listed prepaid phones to use with ting/TPO MVNO? I bought LG Tribute HD last year Thanksgiving. It had a sprint loophole and allowed me to use with Ringplus/TPO MVNO.